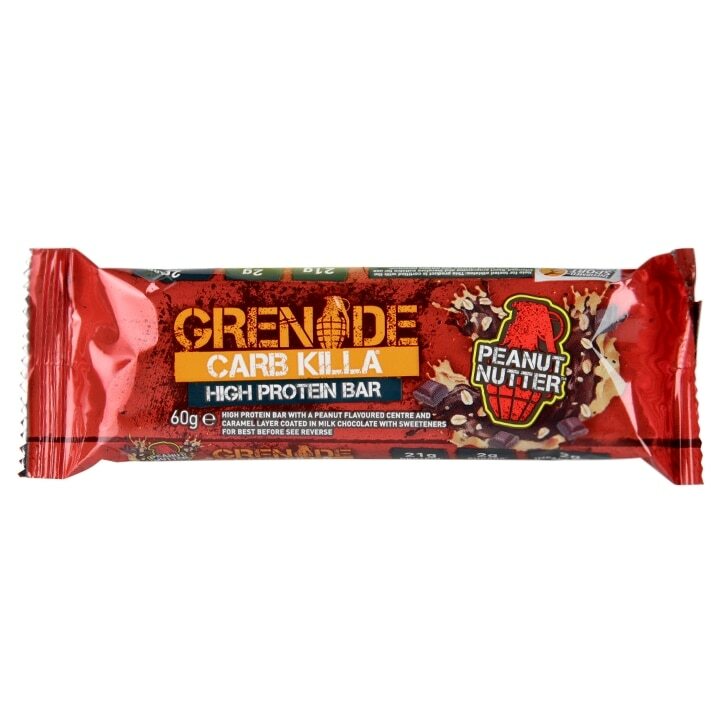 Grenade Carb Killa Bar Peanut Nutter is rated 4.6 out of 5 by 40. Rated 5 out of 5 by Erikson from A GIFT FROM THE GODS!! Delectable, exquisite, wonderful, kisses the taste buds! Rated 1 out of 5 by TomB1973 from Beware, my two batches were months out of date. Two seperate orders of 12 and 15 and every bar was between three and six months past the sell by date. Been a customer of H@B for years but no longer after that.